Shirts With Random Triangles: Nebraska adds JUCO DT Tony Fair to its 2019 football recruiting class. 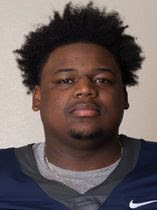 Nebraska adds JUCO DT Tony Fair to its 2019 football recruiting class. Tony Fair. Image via Lincoln Journal Star. Nebraska has added a twelfth member to its 2019 football recruiting class. South Bend, Indiana JUCO defensive tackle Tony Fair announced his commitment to the Cornhuskers on Thursday. Fair has been enrolled at Nebraska since December, 2017. Fair attended Washiongton High School in South Bend, In. He stands 6’3, and weighs 330 lbs.